Since my last post I’ve done quite a bit checking on the Z. The car feels incredibly underpowered to me and it lags horribly when taking off from a stop. It also idles rough. I did some checking and ran into a post on twinturbo.net that described my problems perfectly with one simple solution; replace the fuel injectors. 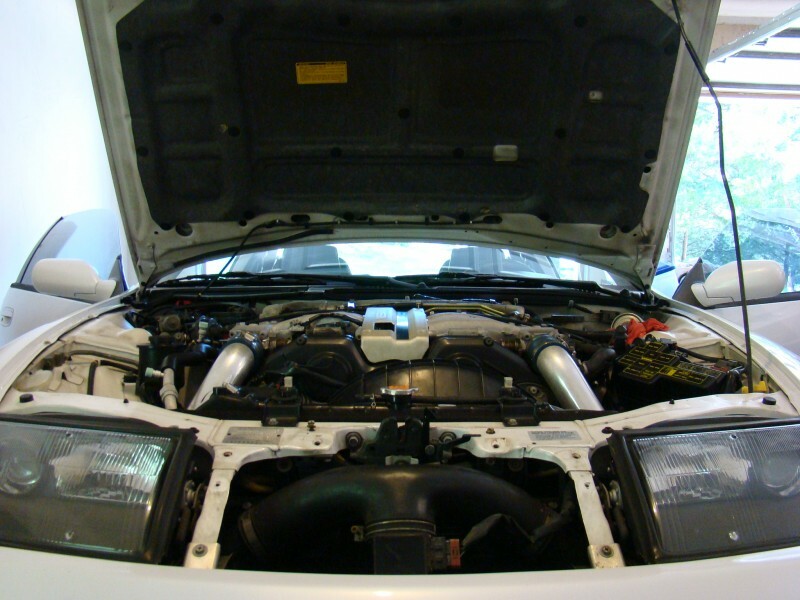 It sounds easy enough in theory but as anyone who has worked on a Z32 before will know there is quite a bit of work involved in getting to them. You have to remove the intake manifold (plenum) and this requires the removal of several hoses, etc. along the way. Once I have this off I plan on trying to do the timing belt as well since I have been unable to find out when it was last done. I’m also going to put new seals on the valve covers because it appears to me to be leaking oil on the passenger side. I will likely also take this opportunity to replace anything else that appears to need it. I’m sure I’ll learn a lot or end up having to tow it into a mechanic with a box full of parts to get it completed. Either way this car is in bad need of several things and I wish that I would have inspected it more closely before I finalized the purchase. I probably paid $1000 too much but it’s hard to say since these cars are becoming harder and harder to find. It is probably about time to get new tires. I was in the garage the other day under my wife’s car trying to figure out where this odd noise that we are hearing is coming from. 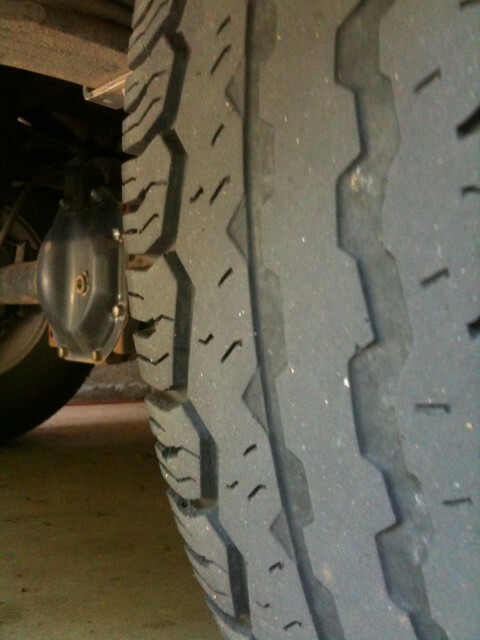 I looked over at my Nissan Frontier and was reminded that it is almost (probably way past) time to get some new tires. The truck has about 29,600 miles on it right now and I had said 1,000 miles or so ago that I’d change them at 30K miles. I then was thinking that I should have my 300ZX before the truck hits 30,000 and I’ll be able to postpone getting tires for a bit. I am hoping that I don’t neglect my truck after I get the 300 because I know a lot of my time and funds will be spent to bring the car up to where I want it. I’ll know a lot more next week when I find out if the car needs any immediate attention; I just hope it’s not too immediate since I have to drive it 800+ miles back from Kentucky after I purchase it. I still plan to do all of the upgrades to the truck that I want to do at some point as well but I know there is a chance the car will take precedence. Not to mention the original reason I was out there in the garage that day was for my wife’s car… we all know that one will ultimately get the needed attention before any of the others.